Dennis and his band, The Mississippi Ramblers, deliver standout live performances of stellar roots and Americana music, rockin' blues, and New Orleans grooves. The band brings audiences to their feet at festivals, theaters, and concert series. Photo by Mike Curtis, Jr.
San Francisco native Dennis Johnson is one of the virtuoso slide guitar players performing today. His recent record Rhythmland was featured in Guitar World Magazine. The album Slide Avenue included two #1 Songs - UK Roots Radio Charts, The Wind is Howlin and Back on my Feet, the #6 Song - US Roots Radio Charts, Swingin At The Savoy, and the album was the #2 Album - UK Roots Radio Charts for 5 consecutive weeks. He has collaborated with musical artists including renowned multi-insturmentalist Joe Craven, acclaimed Nashville sax player Sam Levine, acclaimed drummer Tim Metz, and bassist Jonathan Stoyanoff. Tim Metz is a Sacramento based drummer with an impressive resume. Since his early days as an apprentice to Tower of Power drummer David Garibaldi, Metz has performed with some of the world's greatest jazz musicians, including Grammy Award winning jazz bassist Christian McBride, Grammy nominee saxophonist Jeff Clayton, trombonist Wycliffe Gordon, pianist Donald Brown, vibraphonist Stefon Harris, bassist Jennifer Leitham, pianist Joe Gilman, and pianist Jim Martinez. Tim was a producer on Dennis Johnson's album Slide Avenue (2014). Jonathan Stoyanoff attended the Berklee College of Music in Boston, MA on a performance scholarship. Afterwards, he co-founded the group Pimp the Cat, which included Mark Greenberg, (Dickey Betts, Ronnie Earl), and Steve Grzeskowiak, (Angelique Kidjo). 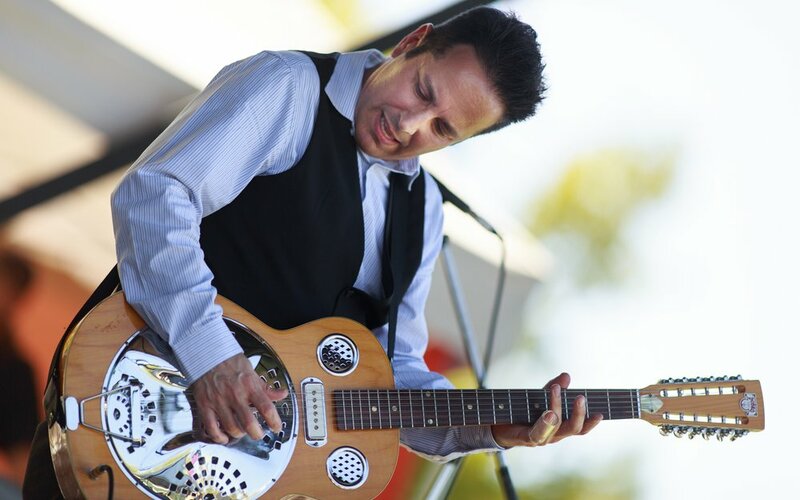 Jonathan toured with recording artist Johnny A, and spent four years on the road with Global Funk Council playing over 600 shows. Jonathan has played with and/or shared the bill with Larry Coryell, B.B. King, Joe Craven, Robert Cray, Bill Wyman, Huey Lewis, Dave Mason, Brian Jordan, Jackie Greene, and The Isley Brothers. Jonathan has an endorsement with Zon and Fodera basses.